Using herbal remedies and medicinal herbs for depression are often sought by people who have adverse reactions to their pharmaceutical medications. For people who have been diagnosed with depression, it is important to view natural herbs for depression relief as part of a holistic approach to treating and managing this condition. There is no specific herbal remedy or herb that can cure depression completely. The bright side is that through the use of nutrition, herbal medicine, and addressing the cause of depression with professional health care practitioner, there can be a promise of better health, both physically and mentally. 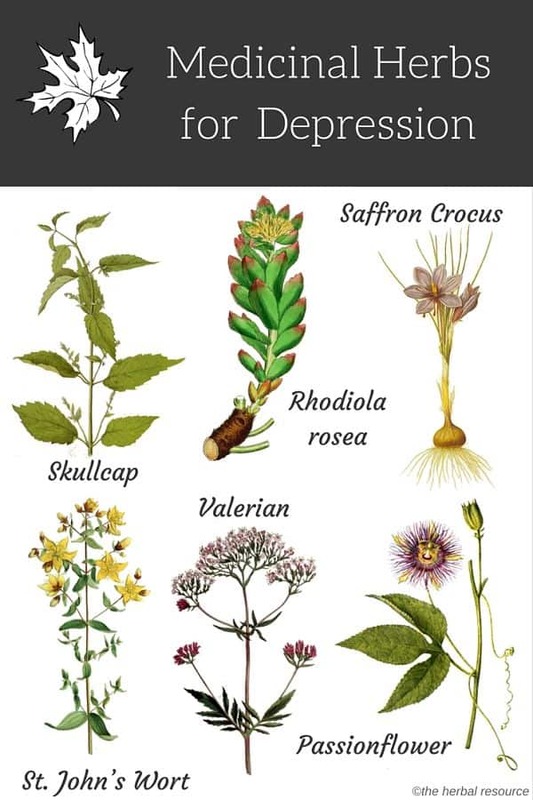 Using medicinal herbs for depression should preferably be done under the guidance of a health care professional as many of these herbs need to be evaluated for their interactions with other medication and possible side effects. 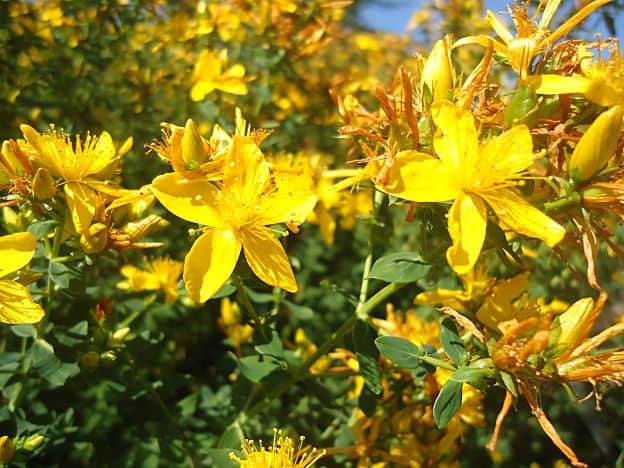 St. John’s wort is one of the best-known herbs for depression and a favorite among many herbalists. It is the small yellow flowers and aerial parts of this amazing herb are used as a treatment for mild to moderate depression. In recent times the standardized extract of hypericum, the active ingredient in the plant, has shown to benefit in alleviating depression and anxiety. St John’s wort’s additional benefit is that it is a gentle sedative and is useful in treating insomnia. The flowers also contain hypericin, and hyperforin both considered to be vital components in the mood lifting action of this herb, and their compounds are enhanced by the flavonoid glycosides naturally found in this plant. Caution is warranted if you are taking warfarin, digoxin and some drugs used to treat HIV (indinavir and nevirapine), chemotherapy medications such as irinotecan, and antihistamines, benzodiazepines, and simvastatin. Consulting a health care practitioner is advisable before beginning any new medication and in the case of St John’s Wort, it is recommended to discontinue for seven days before a general anesthetic. Roseroot (Rhodiola rosea) also known as arctic root grows throughout the arctic and in some mountainous regions with cold climate. 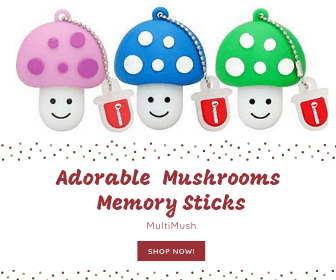 It has been used for centuries in Russia and Scandinavia as a medicinal herb for a variety of ailments including depression and stress. Recently scientific research has confirmed that the traditional uses of the herb for depression have some merit. In a double-blind, placebo-controlled study published in the journal Phytomedicine, researchers from Pennsylvania University found that roseroot was almost as effective as the drug sertraline as a treatment for depression with fewer side effects. 57 adults received either a placebo, sertraline or roseroot extract for 12 weeks. Those receiving roseroot were 1.4 times more likely to improve their condition and those receiving sertraline were 1.9 times more likely to improve their condition, as compared to placebo users. 63 percent of those taking sertraline experienced side effects (nausea, sexual dysfunction) whereas 30 percent given roseroot suffered the same. These results are preliminary but indicate that rosenroot as an herbal remedy for depression could be potentially helpful for people who react badly to conventional antidepressant medications or for those who want to pursue a more natural way to combat their condition. More research is needed to fully confirm the herb’s effectiveness as a low-risk natural treatment for depression but at the moment the results are promising. This herb is best known as a source for the rare and rather expensive spice saffron, which comes from the tiny red stigmas of the flowers of the plant and must be harvested by hand. Saffron uses as an herbal remedy for depression has recently gained the interest of the scientific community and few studies have found it to be just as effective as Prozac. How the herb exactly works or which chemicals are responsible for its effectiveness is not fully understood, but it seems to affect the serotonin metabolism in a positive way. Saffron is considered safe to use in moderate doses but the herb should not be used during pregnancy. Since the herb is both rare and expensive, saffron fraud is common so it is vital to look for a reputable company that offers a standardized extract of saffron crocus (Crocus sativus). Passionflower has a tranquilizing effect on the nervous system and is indicated specifically for anxiety and insomnia. With a reputation as non-habit-forming medication for anxiety, passionflower has been indicated in preparations for alcohol, nicotine and opiate withdrawal. This herb is extremely gentle in its action and should be considered for insomnia associated with anxiety before using valerian. Valerian root is possibly one of the most pungent herbs in use. This strong-smelling herb is famous for being the plant that Valium was derived from. It is one of the more potent calmatives in use and care should be taken when using valerian for more than three weeks for insomnia associated with anxiety. Valerian can cause drowsiness and prolonged use may disrupt deep sleep which can lead to tiredness, even after a full night´s sleep. Skullcap is recommended for nervous tension due to long-term stress, disease or fatigue; including neuralgia, insomnia as well as depression. This herb is considered to be useful in coping with the withdrawal effects of anti-depressant medication and has also worked in relieving headache, anxiety and mild pain; giving Skullcap the reputation as a nervous system tonic. Skullcap is often used where relaxation is required and may make some users drowsy. Other natural herbs that have been used for depression treatment. The use of vitamins is well documented in the natural treatment for depression. Studies have shown decreased folate and vitamin B12 levels with elevated homocysteine have been linked with depression in studies. This association between depression and low levels of folate and vitamin B12 has also been established in the general population and has also been linked to a poor response to antidepressants. Supplementation of these nutrients is known to improve the response to antidepressants. The dose for folic acid supplementation is 800 mcg daily and 1 mg of vitamin B12 taken as part of a quality B Complex Vitamin is suggested to help improve depression. Another useful medication that is gaining popularity in treating nerve pain, fibromyalgia, depression, and anxiety is SAMe (S-adenosyl-methionine) and increases the action of several neurotransmitters, dopamine, serotonin, and norepinephrine for example, by facilitating the binding of these to cell receptors and essentially mimics many classic anti-depressants. Good information on herbs for depression and on medicinal herbs in general. Article on St. John’s wort for treating depression. Liking your work 🙂 Don’t forget roses in the treatment of depression/anxiety. Also chamomile (gentle and safe) and oat straw (avena sativa) a great nervous trophrorestorative.